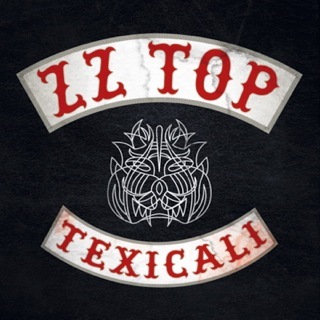 Tuesday, June 5 was the official release day for TEXICALI, the four song ZZ Top collection that presages the band's long-awaited (and, currently, title-less) full album, expected out from American Recordings late this summer or early this fall. The tracks that comprise TEXICALI are meeting with a groundswell of enthusiasm from consumers and critics alike. It's among iTunes' Top 3 rock best sellers on its day of release and has attracted some effusive consumer comments including "Listening to this EP is like biting into the best FAT-BURGER you can find. It's meaty, and it's greasy, just he way it should be." Another TEXICALI buyer wrote "They're back... and it's amazing. The best ZZ in over 30 years hands down. Speechless." It's joined on TEXICALI by "Consumption," a rough-hewn, bottom heavy rocker. Joe Bosso, in MusicRadar, noted "The groove is fat, crunchy and full of swagger... This is ZZ Top crankin' up some fresh, vital roadhouse blues." Craig Hlavaty, in the Houston Press wrote of TEXICALI, "Everything about this effortless effort is pitch-perfect." He went cite "Over You," the set's only downtempo track, "..Lyrically Gibbons is slaying it. There is a touch of Sam Cooke to it, without getting schmaltzy. Digging the torchy guitar attached on the end too." His piece included the lament, "The only tragedy here seems to be that I cannot physically make this any louder inside my earholes right now without causing permanent damage." Rolling Stone offered an audio stream of "Chartreuse," calling the ode to a certain color and intoxicating beverage that share the name "a chunky track fit for any summer beer-b-que." The piece also suggests that "Lyrically, Gibbons growls out the sort of old-school blues nastiness the band has served for more than 40 years."